Bros have scrapped the majority of their forthcoming UK tour. 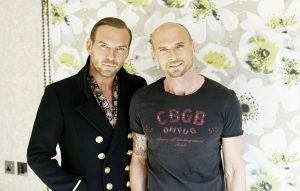 The duo – brothers Matt and Luke Goss – were due to play a full UK tour this summer, after a break of 24 years. But now dates in Newcastle, Glasgow, Nottingham and Birmingham have all been scrapped. A statement from the band read: “Due to logistical circumstances beyond their control, it is with sincere regret that Bros have been forced to cancel four dates on their forthcoming UK tour. Matt and Luke Goss apologise to their fans for any disappointment. “Concerts set for Nottingham August 23, Birmingham August 25, Newcastle August 26, and Glasgow August 27, will now not take place. Their shows at the London O2 Arena will still go ahead on August 19 and 20 as will a date at the Manchester Arena on August 22. Drummer Luke Goss has mainly focused on acting, appearing in films including Tekken and Interview With A Hitman. The post Bros scrap the majority of their 2017 reunion tour appeared first on NME.